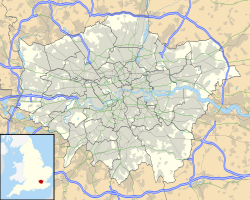 London 2 South East is an English level 7 Rugby Union League. It is made up of teams predominantly from south-east London, Kent, Surrey, East Sussex and West Sussex. The twelve teams play home and away matches from September through to April. Each year all clubs in the division also take part in the RFU Intermediate Cup - a level 7 national competition. Promoted teams move up to London 1 South with the league champions being promoted automatically and the runners up playing the runners up from London 2 South West while demoted teams tend to move down to London 3 South East. Green backgrounds are promotion places. Since the 2000–01 season there has been a play-off between the runners-up of London 2 South East and London 2 South West for the third and final promotion place to London 1 South. The team with the superior league record has home advantage in the tie. At the end of the 2018–19 season the London 2 South West teams have been the most successful with ten wins to the London 2 South East teams nine, and the home team has won promotion on eleven occasions compared to the away teams eight. ^ Horsham, Medway, Beccehamian, Hove, Park House, Folkestone, Heathfield & Waldron, Dartfordians, Chichester and Eastbourne would be the relegated teams this year. This was due to the creation of a new division 4 below this league for the 2000-01 season which would lead to a downsizing of the division from 17 teams to 10 resulting in much more relegation spots than usual. ^ Due to restructure of league from 10 teams to 12 for the following season meant there was no relegation. ^ The division would be renamed London Division 2 South East for the next season and along with the whole national restructure of the league system by the RFU lead to mass changes at all levels. ^ Both Aylesford Bulls and the runners up from London 2 West, Wimbledon, were promoted to London 2 South this year. ^ Only 1 team relegated this season as the league would go back to 12 teams the following season. 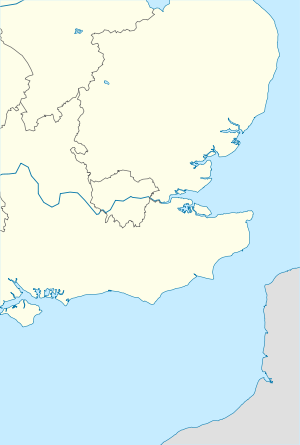 ^ Despite losing the playoff, Aylesford Bulls would join Wimbledon in London 1 South the following season. ^ "League Make up". Sussex Rugby Union. Archived from the original on 12 January 2010. ^ "1998–99 London South-East Division". England Rugby. RFU. Retrieved 5 May 2017. ^ "1999–00 London South-East Division". England Rugby. RFU. Retrieved 5 May 2017. ^ "2000–01 London South-East Division". England Rugby. RFU. Retrieved 5 May 2017. ^ "2001–02 London South-East Division". England Rugby. RFU. Retrieved 5 May 2017. ^ "2002–03 London South-East Division". England Rugby. RFU. Retrieved 5 May 2017. ^ "2003–04 London South-East Division". England Rugby. RFU. Retrieved 5 May 2017. ^ "2004–05 London South-East Division". England Rugby. RFU. Retrieved 5 May 2017. ^ "2005–06 London South-East Division". England Rugby. RFU. Retrieved 5 May 2017. ^ "2006–07 London South-East Division". England Rugby. RFU. Retrieved 5 May 2017. ^ "2007–08 London South-East Division". England Rugby. RFU. Retrieved 5 May 2017. ^ "2008–09 London South-East Division". England Rugby. RFU. Retrieved 5 May 2017. ^ "2009–10 London South-East Division". England Rugby. RFU. Retrieved 5 May 2017. ^ "2010–11 London South-East Division". England Rugby. RFU. Retrieved 5 May 2017. ^ "2011–12 London South-East Division". England Rugby. RFU. Retrieved 5 May 2017. ^ "2012–13 London South-East Division". England Rugby. RFU. Retrieved 5 May 2017. ^ "2013–14 London South-East Division". England Rugby. RFU. Retrieved 5 May 2017. ^ "2014–15 London South-East Division". England Rugby. RFU. Retrieved 5 May 2017. ^ "2015–16 London South-East Division". England Rugby. RFU. Retrieved 5 May 2017. ^ "2016–17 London South-East Division". England Rugby. RFU. Retrieved 5 May 2017. ^ "2017–18 London South-East Division". England Rugby. RFU. Retrieved 21 April 2018. ^ "2018-2019 London & South-East Division". England Rugby. RFU. Retrieved 13 April 2019. ^ "London & SE Division Play-Offs 2000-01". England Rugby. 12 May 2001. ^ "London & SE Division Play-Offs 2001-02". England Rugby. 19 May 2001. ^ "London & SE Division Play-Offs 2002-03". England Rugby. Retrieved 6 May 2017. ^ "London & SE Division Play-Offs 2003-04". England Rugby. 24 April 2004. ^ "London & SE Division Play-Offs 2004-05". England Rugby. 30 April 2005. ^ "London & SE Division Play-Offs 2005-06". England Rugby. 29 April 2006. ^ "London & SE Division Play-Offs 2005-06". England Rugby. 28 April 2007. ^ "PJF falter at Playoff stage". Purley John Fisher RFC (Pitchero). 26 April 2008. ^ "Aylesford Bulls 20 Wimbledon 36". Richmond and Twickenham Times. 27 April 2009. ^ "2009–2010 London South-East Division". England Rugby. RFU. Retrieved 23 January 2015. ^ "London & SE Division Play-Offs 2009-10". England Rugby. 24 April 2010. ^ "Trojans end season on a high". Eastleigh News. 31 May 2011. ^ "Wimbledon 18 - Charlton Park 6". Everything Rugby. 23 April 2012. ^ ""It's time to set the wrongs right," says Sutton & Epsom skipper Matt Whitaker". Wimbledon Guardian. 24 April 2013. ^ "Gosport & Fareham 14-10 Maidstone". Kent Sports News. 26 April 2014. ^ "Medway End Cornish Dreams...For Now!". London Cornish RFC (Pitchero). 25 April 2015. ^ "Cornish Go Down All Guns Blazing!". London Cornish RFC (Pitchero). 30 April 2016. ^ "Cam unable to escape OCs Stranglehold". Camberley RFC (Pitchero). 22 April 2017. ^ "POINTS MAKE PRIZES; CLOSE BUT NO CIGAR AS OR 1ST XV GO DOWN VALIANTLY AT HOVE IN PROMOTION PLAY-OFF". OLD REIGATIAN RFC. 24 April 2018. ^ "Horsham put in a commanding performance to secure play-off promotion". Horsham Rugby Club (Pitchero). 13 April 2019.